FREE Dirty Drinks Are Here! Einstein’s Oilery has always offered FREE Coke products with every oil change. Now you can enjoy your beverage dirty! Just ask and we’ll add shots of coconut and lime syrup to your Coke, Diet Coke, Dr Pepper, or Sprite to give your drink an extra pop! Many motorists believe that a car dealer can refuse to honor the factory warranty if someone other than the dealer services or repairs the vehicle. That is not so, according to the recent consumer alert issued by the Federal Trade Commission (FTC). The FTC alert states that “It’s illegal for a dealer to deny your warranty coverage simply because you had routine maintenance or repairs performed by someone else. 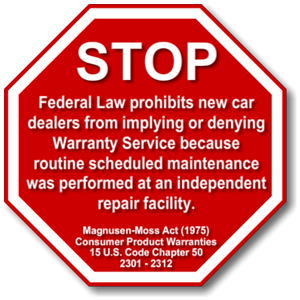 Consumers are protected by the Magnuson-Moss Warranty Act, enforced by FTC, which prohibits a manufacturer from voiding the vehicle warranty because service was done by a non-dealer. 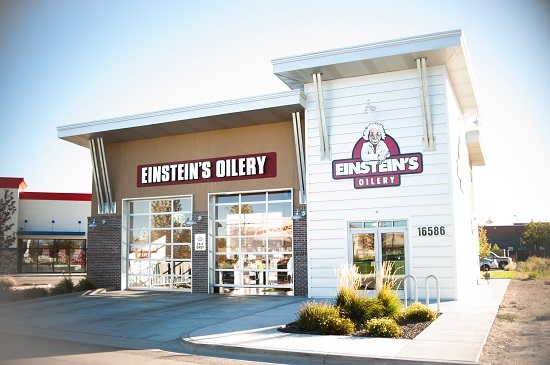 Every Einstein’s Oilery product and/or service meets or exceeds your new car warranty requirements so you can relax knowing your vehicle is receiving the finest care available while keeping your warranty intact!